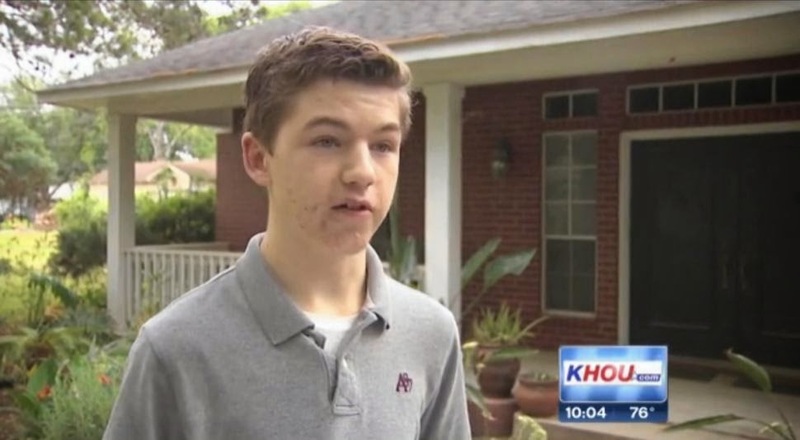 Fifteen year-old Mason Michalec of Needville, Texas, offers a useful reminder of what it was like to be young, strong-willed, clear-headed, and unwilling to compromise on matters of principle. By way of Legal Satyricon comes a story reported by KHOU.com about Michalec, a high-school sophomore, in Needville, Texas. Earlier this school year, angry with a federal government that had little regard for civil liberties, Michalek decided that he wasn't going to stand for the daily recitation of the pledge of allegiance anymore. His teacher ordered him to stand, and when he declined, he was suspended for two days. The principal has made it clear more suspensions may follow if Michalec doesn't cave in. My guess is that the school's social studies teachers are not citing this as a shining example of the interplay between constitutional law, the First Amendment, and political protest. Michalec has explained that he is troubled by the NSA spying scandal and similar conduct, and that he would express his displeasure by not standing for the pledge, saying "And I think it’s time that people do something for themselves and stop taking whatever's handed to them," said Michalec. "I’m angry and frustrated and annoyed that they would try to write me up for something I have the right to do." Good for Mason. Naturally, some of his townsfolks don't get it. One neighbor put down her pitchfork and torch to explain to Fox News that Michalec should stand up because,"You’ve got a lot of things here that a lot of people don't have, that’s respect, that’s freedom." This freedom-loving Texan seemed not to get the irony of pointing to our freedom (to protest, to speak one's mind, presumably) as a reason for believing that why protesting and staking out a political position is somehow unAmerican. Anyway, Mason's gesture reminds me of how often I now find myself compromising, of going along to get along. For example, I stand for the national anthem at sports events, even though I'm no fan of reflexive nationalism or xenophobia, and despite the fact that musically it's just awful. But it's not worth the battle, so I stand. It's heartening to see young folks taking a clear view of our government's conduct, taking a stand despite local opposition and promises of retribution, and offering us a sense of what it means to be principled. Good luck Mason.